Hello my fellow Losties! Welcome back! Are you getting a little sad that our Thursday tradition will be coming to a close in one week's time? Well, we'll deal with that next week! For now, we have to talk about Charlie and some more crazy stuff happening on our favorite island! What another great episode of this show! Ultimately, we kinda knew this episode would just be setting up the finale but wow did they toy with our emotions with poor doomed Charlie (or is he doomed???) And they sure set in motion events that will change the course of their lives on this island forever. Yes, Jack and crew will be splitting up and embarking on simultaneous adventures, conveniently timed around the end of the season! As Kate says, "Here we Go Again." And what do I always say? Yep, you guessed it......."WOW!!!" Our finale setup episode immediately deals with Jack's plan to protect his people but also how the crew must deal with complications to that plan. Sayid continues to persist that the imminent rescue opportunity is priority #1 (that would be part of the complications to Jack's revenge plot!) Flustered and crazy Ben returns from his assassination attempt of the CHOSEN ONE with a new plan almost as devious and crazy as Jack's (yep, another complication!). Charlie writes out his 5 BEST MOMENTS in life to give to Claire after he dies. Desmond has perhaps his "FINAL" premonition about Charlie, guiding Charlie in his supposed final hours as the doomed hobbit/rocker prepares for his heroic fatal mission. Let's go ahead and break this down the best we can! Ben lying to the others and giving false orders from Jacob confirms our suspicions that he shot Locke in order to maintain his ability to LEAD the Others. But Ben's flustered manner would seem to show him as a shell of the man that the OTHERS recruited to be their Leader. He has become so obsessed with finding a cure of Island Pregnancies that he has lost sight of HOW he is going about doing it. And this could lead to the DEATH of some very unfortunate castaways AND Others. Alex questions if Ben is real father. This seems to imply Alex does not know she was taken from Rousseau as a baby. I think we could assume that, but figured I'd mention. Alex has been seeing Karl in secret. Sawyer had told Karl to go BACK to Alex and it would seem he has never been caught. I guess the question remains to if Ben KNEW they were seeing each other and HOPED that Alex would tell Karl and the message would be relayed back to the castaways. Also...is it possible that Alex could be pregnant too? If the chances of getting pregnant on the island are as good as Juliet suggests, and this is the reason Ben wanted to keep them apart....then I guess there is as good a chance as any that she is! "Sayid got a new toy to play with in the Satellite Phone as predicted. They are going to try and communicate with the rescue freighter. All static right now even though it had a few bars of service. Perhaps they will go to the radio tower to kill Rousseau's transmission? Isn't that what was blocking all other signals before? " The Underwater hatch is revealed to be "The Looking Glass" Hatch. We'll get into all that is LOOKING GLASS in Charlie's sections below. For now, we will say that THIS is what is at the other end of that WIRE along the beach. The wire that Sayid found after he tortured Sawyer in season 1 and left the camp, inevitably finding Rousseau and then discovering the existence of THE OTHERS. The wire that Hurley finds after talking to Sayid about some crazy NUMBERS that were on maps and writings the Iraqi stole from Rousseau. The wire that Desmond has a flash about in another Charlie-death premonition and discusses with Hurley in order to locate. Yes, we've been wondering about this wire for quite some time. Earlier this season, we thought that we finally discovered that it went to the Hydra Hatch. But considering that was on a different island, it wasn't really possible. 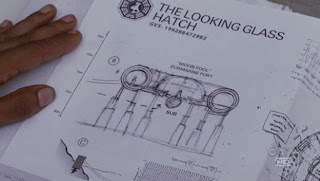 Sayid pulls out the blueprints he stole from the FLAME station...and of course the "Looking Glass" Hatch blueprints are in there. Juliet says Ben told everyone there was an "ACCIDENT" and that the Hatch is completely flooded. Jack questions how it still works. Sayid says it's irrelevant and that they must get in there. Ben sure likes throwing that "ACCIDENT" word around. Perhaps he was trying to maintain an "illusion" again so that no one tried to go to the Looking Glass? Of course, this is all assuming Juliet can be trusted! But that is not our concern at this time! The plan is someone must swim down into that Hatch and that it would appear getting out alive might be tough (the whole running out of oxygen thing!) Charlie, based on Desmond's vision, volunteers for the job and Dezzie goes with. According to the blueprints, it would appear that the station was designed for a submarine to dock there. We have yet to see the full functions of this DHARMA station, but this could be an important development on how people are ARRIVING to the island. Anyway - Plans had to change a bit once Karl showed up. Others are coming TONIGHT not tomorrow! Jack goes into EMERENCY PLANNING mode and says there are 3 things that must happen at the same time. 1.) The Looking Glass must be entered and the Transmission Jamming must be stopped 2.) The OTHERS still have to be killed! and 3.) Everyone not involved in Missions 1 and 2 are heading to the Radio Tower together in hopes of Rescue! Jack obviously wanted to stick around and kill people. He stated that for 90 days people have asked him to make decisions for the Group. Sayid suggested Jack start ACTING like a leader and don't put yourself on the FRONT Line. Lead the Majority of the group to RESCUE! Sayid will stick behind with 2 other Gunners. Rousseau did not finish rigging the tents to light the dynamite....so each gunner will target a tent and BLOW those crazy others to bits! Who are are assigned Murderers? 1.) - Sayid Jarrah - Ex-Iraqi Military Guy 2.) Jin Kwon - Ex-Hit man/Korean Military Soldier?? 3.) Bernard - Ex-Pheasant Shooter! That's right Rose and Bernard returned! And not a moment too soon. As we need people to die in the finale, and well...Bernard is on the front line now! That ain't cool! But you never know what's going to happen. Key thing we learned about Rose this week? She can tie some serious knots! I'm sure that's behind her psychic powers too right? Hey, in LOST anything is possible! Oh yeah....and where did she get the DREADS from? Bernard fired quiet an accurate shot on that DHARMA Can too, he might be okay! As for Jin, he and Sun have a tiny moment where Sun reveals she went to the medical hatch. She, however, did NOT reveal that she is a ticking DEATH clock! So, what does Jack's Plan do for us? Well, it has set up pretty much where we'll probably starting at the beginning of season 4. The group will be split up again....but this time...Jack, Kate and Sawyer should ALL be with the core of the survivors....just AWAY from the beach. What does that mean for Desmond, Charlie, Sayid, Jin and Bernard (yeah, that's 5 people, by the way in case you like numbers!)? Are one or more of them destined to say goodbye before this season's end? I would say not all of them, but maybe at least 1? Bernard would be a HUGE cop-out too! Well we have 2 more hours to find out! (I wouldn't quite call Jack's crew safe either). Can I just say for the record, that I loved how they did the flashbacks this week? Just like any great Rocker has-been would, Charlie compiled a list of his greatest memories, or his GREATEST HITS, prior to his inevitable predicted death. He uses the Marker he used in season 1 to put those crazy letters on fingers. You remember "LATE" and "FATE"? Ahhh, remember when we thought there was some huge symbolism behind those words? 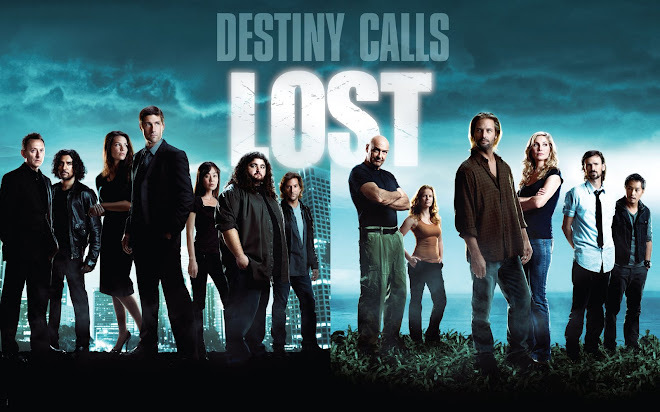 Yes, back in our Amateur LOST viewing days! Anyway, his top 5 hits ended up being his 5 flashback scenes in order from 5-1. And yes....it turns out he was making the list for Claire resulting in the ultimate tear-jerking scene of Charlie giving the letter to Desmond to give to her! Prior to the band making their big break, Charlie, his brother Liam and the rest of Driveshaft have a flat tire on the way to a concert. And then they hear "You All Everybody" on the radio. Their lives change forever. I'm not going to look into this flashback very much. Just a cool scene to see! As the relevance of what these flashbacks stood for grew with each one. We see a young Charlie (looks like the same actor that played him in "Fire and Water") afraid to jump into the pool. And Daddy in the pool promising that he'd catch Charlie. For once, on LOST, someone's Dad ends up being a GOOD father! And he DOES get his son after jumping in the pool. What do we learn here? Charlie learns how to swim. Important for the task ahead! Charlie tells Jack that he was a Swim Champion in England back in his youth. And that he can hold his breath under water for 4 minutes. We later learn in a discussion to Desmond, that this might have been a fib. We arrive at the flashback finding Charlie in bed with 2 women, as all rock stars would be found. Liam arrives on Christmas to pass on the DS ring to Charlie. We used to think this stood for Drive Shaft, but actually the band was named after Dexter Stratton (didn't find any significance in the name. Anyone? ), and the ring has been passed down through the family for many generations. There was some ironic comments from Liam who says that he is a mess and that Charlie will be the one to settle down, get married and have children. (Liam actually quits taking heroin and has the family in Australia...leaving Charlie with a drug addiction and a mess) Charlie gets the ONE RING TO RULE THEM ALL (yes obvious Lord of the Rings reference due to Dominic's role in each! Of course, I unnecessarily explained anyway!) and Liam asks him to pass it down to FAMILY. Charlie, after playing guitar in the street (once again Oasis's "Wonderwall") and after once again singing "You're gonna be the one that saves me" Charlie saves a woman from being mugged. The woman tells Charlie he is a Hero and that 3 people walked by and did nothing. By the way, did you notice the woman was Sayid's Girl Nadia? Yeah, she has showed up in Iraq, California (Locke inspected her Home), and now England. This was sooooo sweet! We revisit the night of the crash and see how Charlie met Claire and see the start of the romantic/flirty banter between Charlie and Claire. I think they spliced in this new scene with some older ones to date EXACTLY when this happened. But I haven't done my season 1 research to double check. But the last time we checked, it would seem Charlie introduced himself to Claire by helping her with her luggage the NEXT day. I'm sure they did their research, and I'm just being picky though! The gesture that this was Charlie's #1 outweighs any inconsistencies! Well, Desmond has a premonition (supposedly, we've seen him want Charlie to die before for his personal benefit. But Desmond seems to be a good guy, as he couldn't let it happen last time) and says that Charlie will HAVE to die this time. In this section we follow Charlie's path to acceptance that he will die to save the people he loves. Naomi talks to Charlie and tells him that Driveshaft had a huge resurgence once word was out of his death. Charlie actually predicted this would be great publicity for the band back in season 1. So this was a nice ironic twist on that. Naomi said they released a greatest hits album and that the band was back together. This reminds me of all of those jokes that somewhere Elvis, Biggie, Tupac, and Kurt Cobain are hanging out on a deserted island somewhere collecting all of their royalties from the huge sales their supposed deaths brought in! Desmond tells Charlie that he sees Charlie in an underwater station, he flips a switch, the place floods and then he drowns. But the last flash he sees? Claire and Aaron getting on a Helicopter. There is no telling WHEN these events all happen. Just that they do. So Desmond's vision of Claire, for all we know, could be 49 episodes away (yes...that would be the season finale!) Anyway...Charlie, as we've stated, volunteers to flip the switch to unjam communication, fully knowing he will die doing so. "Through the Looking-Glass, and What Alice Found There (1871) is a work of children's literature by Lewis Carroll (Charles Lutwidge Dodgson), generally categorized as literary nonsense. It is the sequel to Alice's Adventures in Wonderland, although it makes no reference to its events. In it, there are many mirror themes, including opposites, time running backwards, and so on." Hmmmm Time Running Backwards....Mirror Themes....ahhhhh these concepts sound very familiar and very relevant! Could all of the events transpiring on that crazy island be linked to things happening in The Looking Glass Station? All of the visions? Desmond's premonitions? Could the safe-key that was turned in the SWAN Hatch be linked as a trigger to something happening in The Looking Glass Station. Were these visions intentionally given to Desmond to bring Charlie TO the Looking Glass Station? Charlie AND Desmond, maybe? And what about the SUB being linked to this station and based on every question I just asked. Is it possible that the Looking Glass Station is involved in getting people TO the island? Wow...I'm really psyched to see what we find out next week! But still....what happened to Charlie? Right...Charlie found an opening underneath the station and ended up in the Moon Pool entrance to the Looking Glace. It appeared to be a HUGE Hangar-like area. Charlie feels that Desmond's premonition was incorrect. Although, did anyone notice inconsistencies with stories earlier? Juliet believed the hatch was flooded (based on what Ben told her)...but Desmond says that the hatch floods after he flips the switch. 2 crazy women! Well, this is definitely a diffferent scenario than the last time we saw Charlie with two women (you know...the Ring Flashback!) Yes as Charlie is rejoicing in his survival, 2 women appear in military-esque fashion with guns rifles cocked and aimed at Charlie. Reminded me of how we were first introduced to Desmond at the start of season 2. Who are these women? I'm sure that's what we should be asking. People are speculating the BLONDE is Annie (Ben's childhood crush/friend). Others are suggesting it's the same woman that threw the lantern on Michael's Raft and blew it up at the end of season 1. 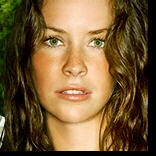 Rumors are saying the brunette looks like Cassidy (sawyer's Long Con). I'm not going to deny any of this, but just raise more questions. Who are they working for? If Ben made up a flood story about Looking Glass, are they working for him? Does he have something over both of them to make them work for him? Are they working for Jacob? Are they working for themselves? Are they the last known survivors of the DHARMA initiative? Are we going to find out this season? WOW WOW WOW! This show is just crazy! And with that, there's not much more I can say. 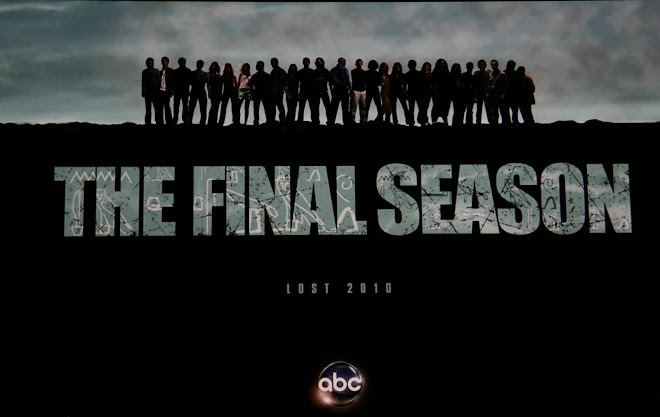 We have 2 more hours to wrap up this fantastic season of LOST. I'm sure there are spoilers out there about the GAME CHANGING event that is going to happen next week. But I've read that these things should not be pursued because it will ruin your personal enjoyment of the episode! So steer clear of the spoilers! I'm sure I missed tons of stuff though from THIS episode....and I'm really excited that the Blog audience is continuing to grow!. 2 Weeks ago, the hit count on thursday was twice as much as the weeks prior. Last week was twice that of 2 weeks ago! This is fantastic! It's unfortunate that we have to take a hiatus until February with all of you frequent readers! 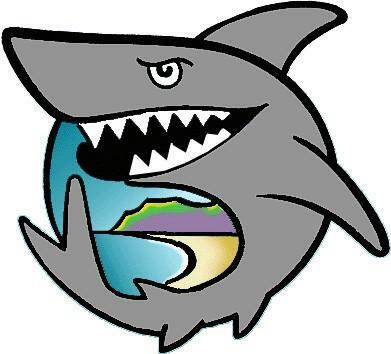 Maybe we'll think of something to keep the blog alive in the "Off-Season"! But please, keep commenting and sharing theories. You all had some really great ideas that I never even thought of last week! And as a warning, I will try my best to get the blog out in a timely manner next week. But it is twice as hard to recap a 2 hour LOST episode as a 1 Hour, as you can probably imagine. Be Patient as I try to balance this with my real job! Hope you enjoyed my ramblings and see you after next week's CATASTROPHIC FINALE! good recap. keep in mind that the book was titled "THROUGH the Looking Glass...". this seems to imply that the station acts as a gateway to the island from that land of reason (or illusion/delusion depending your pov). also, was alex butchering a rabbit when ben returned to the others encampment. i thought so, but could be wrong. Good point with the gateway concept. I'm sure that station will be somehow involved with our GAME CHANGER next week! I didn't notice the rabbit butchering...I'll have to double check that. I think I also forgot to mention the possibility that Naomi CAME from the Looking Glass hatch. I still don't think that will be the case, but it could've been a result of something that HAPPENED in that station. Afterall...the chopper supposedly crashed RIGHT around where that hatch would be. Didn't it? Great blog, as always. I really enjoyed this episode more than last week's. It wasn't as weird, which can turn me off to the show sometimes. "Jacob" going nuts was just bizarre. I loved Charlie's list....that was good stuff! Great recap as always Mike ! Will again state that I wish I'd known about it all this time. I'm one of the ones who just read about you on EW 3 weeks ago ! But I can't believe you didn't mention the touching scene with Charlie and Hurly ! I was in tears. So - it occurs to me - is Desmond lying about having a premonition? In the past we always saw the bits that Des saw. But not this time. Des told Charlie that he'd had a premonition - but did not give details. SO - did Des describe the premonition of pushing a button in an unknown hatch BEFORE Juliet told of the underwater hatch ? Or did Des then describe the premonition AFTER Jul spilled the beans ?? I can't remember the order ! Yes - Alex was butchering a rabbit. I didn't even catch that one ! As always, great job on the blog. Maybe I'll see ya at Buffett this year! Oops - also meant to say that I and most of my coworkers are saying 'could they not just have cut the cord ont he beach' ? I'm sure there is a reason they couldn't - but it seems illogical not to. The cord seems to be supplying power to the hatch, without power this signal blocking would fail. 1.) Shanna is right...I did ask about the rabbit last night! I am officially an idiot! lol Totally forgot! 2.) MJ - Yeah I mentioned somewhere in the Blog my suspicion of Desmond possibly lying. But then I thought...maybe they didn't want to show Claire and the Helicopter because they didn't want to film flashes forward yet...due to matching it up in the series finale (if that's really when the rescue happens). Also maybe they didn't want to reveal the LOOKING GLASS station until Charlie actually got there. Plus...they would've revealed it wasn't flooded...even though desmond said it wasn't either. I just don't know! But I don't think Desmond would've been able to keep up a lie. Of course...he did try to bail charlie out right at the end. Also as for the SUB....the BLUEPRINT shows an area where the sub can dock...i was assuming this was the moon landing area or whatever they called it! lol As for if it's big enough? i'm really not sure. But that is a pretty small sub isn't it? And interesting thought about cutting the cord....It's kinda like...why didn't Frodo and Sam just fly on an eagle to drop the ring in the mount doom? It just cuts out all of the suspense! lol (man the Lord of the Rings reference makes me the ultimate dork for the day!) And yes...I can't believe I forgot to mention the Hurley/Charlie thing. That was fabulous! 3.) Anonymous. Yes there is a special on at 10:15 tonight. I'll probably eventually watch...but probably not tonight. And I usually don't blog about these SPECIALS. This episode blogs take a lot of my UNPAID time as it is! lol There's 2 seasons worth of Blogs you can go back and read if you want though! lolol And no probs on the non-spoilers. I do try to stay away from them usually! 5.) Thanks everyone for the compliments on the blog as always! Did anyone else hear another parent call out to their son DESMOND just before the boy Charlie jumped in the pool? Totally did not notice that. I'll have to check it out! Thanks! How do we know that Ben was lying about Jacob giving him orders to attack the camp a day early? We couldn't hear what Jacob was saying in the shack (if he was saying anything at all). Also, does anyone think that Alex might be secretly working with Rousseau, who was following her around after Alex led Locke to the sub a few episodes back? Maybe Rousseau finally got up the nerves to talk to Alex, which could be why she's questioning if Ben is her real father. I just watched the pool scene again...I heard someone yell for Desmond to "hurry up!" It sounded like a kid yelling for him. Anyways...Joy, I got emails about possibly Rousseau and Alex meeting up "off camera" and maybe we'll learn about this later. Always a possibility. I just think they wouldn't want to reveal to us their reunion in a flashback but as a milestone event on LOST. But you never know with those crazy writers! This seems to be mostly stuff from the Sledgeweb site - note the lost.cubit.net tags. Is there a connection between this site and that one, other than the copied screencaps? No connection. I just "borrow" their pictures lol The recap is all me! Butzo, you sick SOB. Fabulous recap once again. I looked back on this episode and figured not too much was going on just because they were setting up alot of events to take place for the season finale. Anyway, I'd just like to point out for the Lost Addicts blog that the blown-up picture of the brown haired woman in The Looking Glass look extremely close to the woman Sawyer was working the con-job with. Thanks Sminkey! Glad you can find enjoyment out of my ramblings! I think I mentioned in the blog that there was a rumor about the brunette woman being Cassidy. It does kinda look like her, but I really can't understand WHY should we be there. Of course, why was Locke's Dad there? So you never know! Good recap. For those who wonder why didn't they just 'cut the cable'. A cable doesn't necessarily have to be a power source. It can be an anchor. I would think anchor..as a metal power source NOT insulated running through water?? Also, not all of Desmond's visions have been shown. Isn't that part of the beauty of Lost? Just when you think you have something figured out there's a twist! I don't see it as an inconsistency that Ben told Juliet the hatch was flooded and Desmond tells Charlie it floods after he flips the switch. Ben has been lying to his people to manipulate them. Why would that now be different? regarding my anonymous post (sorry for it being anonymous. i'm lazy, not secretive) i was wanting to introduce some key philosophical concepts that have i've seen integrated into the show's narrative. for those unfamiliar with the concepts do some quick research and the logic of their relevance should become a little more lucid. thus, the use of the alice in wonderland reference to Through the Looking Glass. isn't that where we've all been the last three seasons? to elaborate think back to the hurley episode "Dave" where dave tells Hurley that the whole island and everyone on it are mere extensions of his own consciousness. Hurley rejects the idea, but i can guarantee this topic is revisted in the coming seasons. take it to the next level and the whole series of lost is meant to be a reflection of coming to terms with ourselves and our own existence within an eternal context beyond space & time. reconciling our fate with free will (eternal recurrence). take it to the level beyond that and you're dealing with the "reality" we experience beyond the show. there's also a recurring theme of interconnectedness. when taken beyond mere narrative relationships and you have "You (the viewer)All Everybody". don't buy the innocuous explanation the produces gave as to how this title came about. just like most of the show they know exactly what they're doing. especially since that annoying chorus keeps coming back. hence: solipsism and panexperientialism. there's obviously a lot more to support these theories, but at a minimum i hope it gave you all some food for thought (as well as some homework to carry you through the hiatus). feel free to throw around your own theories and questions. thanks for your time and to mike for the blog. Anyone notice that Jack's hair finally started to look longer. did anyone notice that one of the people watching Charlie at Covent Garden is Naomi? I bet Alex kills "bugeyes". Some great theories in there - and lots to read about. I also thought it was Naomi watching Charlie sing but haven't seen anyone else pick up on that here or on the EW board. Matt - That's some crazy deep stuff. Thanks for clarifying lol. And you're welcome for the blog. Thanks for reading! As for Naomi in the Charlie flashback....I double checked it and only saw one woman that could POSSIBLY be Naomi and it really didn't look like her to me. Unless I was looking at the wrong person! But I only saw like 3 or 4 people watching Charlie. leelee...I think I may have jumped the gun a little bit with the inconsistencies in Desmond/Juliet's stories. I knew Juliet was only saying what Ben told her. But after seeing the scene again Desmond NEVER said that the place floods after Charlie flips the switch. He just said that Charlie drowns after flipping the switch. So we are to assume the place is flooded when Desmond tells the story. So Charlie's reaction to the place NOT being flooded..seems justified now to me! OOPS! lol And you absolutely could be right about the cable. It might not be a power source. Sayid just assumed it was when he followed it to Rousseau's trap. And I guess we've all kinda assumed it since then. BTW...i just watched the Recap special that aired last night. It WAS a good time and a nice refresher of everything that's happened in the last seasons. I'm sure they put it after Grey's to try and inspire people that have abandoned the show to tune in for the finale and give LOST another try! One thing that stuck out in my mind is the fact that they pointed out CHARLIE killied Ethan. I know we're constantly reminded of this. But with him in the Looking Glass under gunpoint...kinda makes me wonder if it's going to be brought up again lol. Also, showing the parallels between Ben trying to keep people from leaving the island and Locke sabotaging things to keep people from leaving the island (hitting Sayid over the head in season 1, blowing up Flame, Sub)....seeing what has happened to Ben with his obsessions....will the same thing happen to Locke? Probably not....but just thought it was something interesting to note. that's what i love about the show. you can experience it as superficially or philosophically as you like. a little something for everyone. the best blog i've seen at putting the show into a larger cultural and philosophical context is the one by j.wood whom doc jensen recommended. really good stuff. here's the link if you don't know what i'm referring to. You asked about the significance of the name Dexter Stratton. My opinion is that since the word Dexter is latin for "to the right of", or simply "right" and Stratton is an old english word for "road" or "path." Dexter(right) + Stratton(path) = right path. He took the right path by sacrifcing himself for the greater good. To clear up the mystery of why Charlie can swim and couldn't in Season 1..nothing to do with Desmond changing the course of history...or the future or whatever..this is from Wikipedia..
"In the season 1 episode White Rabbit, Charlie tells Jack he is unable to swim. But in Greatest Hits he must swim to the Looking Glass station. In a season 2 episode, Charlie swims out to sea to save Aaron, and he was running to save Claire in Flashes Before Your Eyes. He lied the first time to avoid wetting the heroin he was carrying." great comments all! Just another thought to ponder (as if Lost doesn't give us enough! )....seems to me the writers of Lost are very smart guys and seem to be VERY detailed. It would strike me as odd and sloppy on their part if they allowed inconsistencies with pervious episodes to ones now. I think these 'differences' we all notice are deliberate on their part... and in the unfolding of Lost....the island ..and the mystery, will be revealed in time. Much like the VW bus a few weeks back! I know I wondered 'how the hell did that bus get there??' Now we know :) Another purpose the differnces serves...gets us all talking :) Happy Weekend! I've just discovered this blog. Great stuff! Thanks Mike and Co. for all the food for thought. David, nice catch as to the confusion concerning Charlie's supposed lack of swim knowledge. I had forgotten about the heroin he was carrying. Lost is the only show I've ever seen that kept my mind occupied like this. Thanks for checking out the blog and for the compliments! Also, nice catch David. That definitely could be what was going on with Charlie. Thanks again everyone for your comments. Loving the ongoing discussions! I'm sure tomorrow's episode is going to give us TONS to think about all summer and fall! I read on another site that the woman Charlie saved was "Naomi, Sayid's true love." Does this make any sense to you? It's a really long one...hang on there...I'm on the last section! lol I just read EW's recap, im pretty sure your's going to be better...he didnt do justice! blog's done...i'm having some technical difficulties....but once i fix it...I'll post it! After my ungodly long comments on the last episode, I'll try to keep this one a lot shorter! Well, I say I'll keep it shorter because of my abundant verbosity last time, but I really just want to get to the season finale ASAP. This was another terrific episode, the third one in a row that just knocked my socks off (and three very solid eps preceded this trio). Jack did his best to win over his followers and he certainly won me over with his "blow them all to hell" speech. Look at what a blood-thirsty monster Lost has turned me into, haha! But we'll have to wait and see if the revised plan to shoot the dynamite will actually work. I'm guessing that something has to go wrong, because pure success would kind of end the threat from the Others for good. And if something does go wrong, my #1 tragic-death candidate Sayid is right there on the front line, potentially dying in the season finale after performing some great heroic act! But then again, my #3 tragic-death candidate Jin is also there, so now I can't be sure of anything (frankly, I never was). And then there's my #2 tragic-death candidate, Charlie. This was Dominic Monaghan's finest hour as Charlie, really carrying every scene he was in and leaving me emotionally wrung out as his life hung in the balance at the end. Charlie's good-byes to Claire, baby Aaron and especially Hurley got me all choked up, and then him finishing his 5 Greatest Hits letter to Claire and giving it to Desmond on the boat…I was fairly sure he wasn't dying in this episode, but it felt like he was already gone. Please stay #2, Charlie. But with those kinds of emotional scenes, if Charlie doesn't die in the finale then he should never die, because the show would have a really hard time matching the emotional impact Charlie's fate brought to this ep. I'm afraid he's become the #1B to Sayid's #1A. Did Lost film the "#1 - The Night I Met You" scenes during the first season or this season? Do they keep the whole plane destruction scene on the beach intact just for filming flashbacks? If the show was really NOT making it up as they go along, then I could see how they had the foresight to save a ton of money and film those types of scenes while they had the stage properly set up. Mike, I LOLed at your line about Sun: "She, however, did NOT reveal that she is a ticking DEATH clock!" Classic, Mike, classic. This episode was exciting and emotionally draining, and really a well-designed precursor to the big finale. I can't wait to see it, so I won't! Yeah..just looking at the names of these episodes from BRIG onward reminds me how great the end of season 3 was. Pretty sure "the night I met you" scenes were filmed during season 3 but took place in the season 1 time frame. No way they were thinking THAT far ahead! lol At least to that specificity to know they would need a scene like that one day. They had no idea that Claire and Charlie would become an item until halfway through season 1 when they saw a chemistry there between the actors. (I'm just guessing here...because that's how TV comes together). I really think that after season 1 they formed an outline for how they wanted the series to go (the end of season 3 event being a major reveal and milestone in their outline.) As for little details like characters meeting and forming connections, I don't think every one was mapped out on day 1. That would've been impossible and left no room for changes as necessary (see: Nikki and Paolo). You've stated previously that there are people out there who don't like season 3. How is this even possible? Yeah, there are a few duds, but WOW...this run to the end of the season is amazing.